The Easter Greetings collection is so inspirational with its elegant and beautiful soft pastel colors. 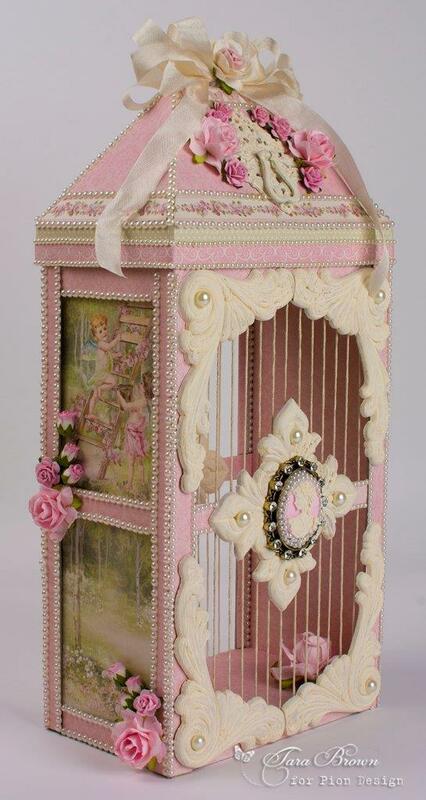 This birdcage was handmade using chipboard. I chose the pinks from the collection to cover the chipboard, made a matching clay cameo from a mold, and then added painted wood appliqués for the final design.